We get asked a lot of questions from prospective clients, generally covering whiteboard animation in general and what our normal production process is. Here are the most common ones. Whiteboard animation is a process where simple illustrations are drawn on a white background and presented in a video format where viewers can see the images develop as they are drawn. Whiteboard animation videos are often used to great effect to graphically represent and reinforce a message or story. As visual engagement is a significant factor in learning, these videos can help viewers with their understanding and retention of a message, idea or concept, and can be used to persuade, educate or promote. What can whiteboard animation videos be used for? Whiteboard animation videos are generally used for marketing and training purposes. They can be embedded on your website homepage to attract and engage visitors, go on a specific landing page to boost conversion rates, they can educate on policies, processes or tell any particular message or story. They are also used as internal training assets, on e-learning intranets or otherwise distributed to employees. What makes whiteboard animation so engaging and effective? Whiteboard videos are simple and direct, they get straight to the point without overly complicated effects and distractions. Watching a drawing/story develop and evolve aligns to the way our brains are wired. From childhood we all learnt to communicate with storytelling and simplicity, so whiteboard animation works along lines we are all used to. The human touch is added with the real hand and friendly voice to make a connection on an emotional level. How would a whiteboard video help my company or organisation? Your company or organisation runs on effective communication, whether that’s external communication (marketing, PR, customer services), or internal communication (training, procedures, announcements). Whiteboard animation is the most effective way to get your message across and communicate effectively. We work with organisations ranging from local to global, so we have three different price packages available in order to cater for different budgets. Check out our pricing page for more details. I have a rough idea of what I want, can you help me develop it? We are happy to discuss your ideas over the phone, Skype or email in order to help you develop your ideas and see how whiteboard animation can work for you. We offer free no-obligation consultations with our project co-ordinators who oversee the whole process on a daily basis. In your consultation you can get a good understanding of different directions we can take your idea and help you take it further. Can I write my own script? You are very welcome to hand us a finished script and let us work directly from it. We do, however, also offer scriptwriting services, whether you want us to write the script from your guidance, develop a partial script of your own, or fine-tune a full script. Can I use my own voiceover/audio? The choice of audio is entirely up to you. we have voiceover artists who are able to provide professional voiceovers. as well as stock music options to enhance your video. However, if you would like your own voice in the video, or would like to arrange your own voiceover or music, then we can work with that. You’ll just need to send us the audio files at the start of your project. I'm ready to go. How can I get started? Give us a call on 08000 434 005 or send us an email to let us know what you’re looking for and we’ll help you get started. What information do you need from me to start a project? We need your company information and contact details to arrange the project contract, and as much guidance you want to give us on what you need. If you have a script or audio of your own that you would like to use, please send everything through to us. Some clients find a product demo appropriate, others talk through a Powerpoint presentation, and some just require a quick brief over the phone. The normal turnaround time is 3-6 weeks, depending on the scope of the project and on current business levels. If you’re looking for a video longer than 5 minutes, then we can give you an estimate of production time when your project starts. These times are based on the idea that most clients can provide feedback on a script or storyboard within 24-48 hours. Can videos be produced faster if required? We have been known to produce videos faster than the 3 week minimum, although this is not generally recommended, as it restricts the amount of time you have to provide feedback and for us to make required amendments. If you have a tight deadline 1-2 weeks for example, let us know and we’ll confirm if we are able to take it on or not. If you already have a script finalised, with a good idea of what visuals you are looking for, that helps us produce the animation quicker. We require a 50% deposit for all projects, which secures your slot in our production schedule. This can be paid via direct bank transfer, or other means if required. When the project is complete, the remainder of the project fee is due. Once we have received the final payment for the project, we will deliver the video file in the requested format. Would I fully own the finished video? The final video becomes your property on full payment of the project fee. You are then able to upload it to YouTube, or other video hosting, display it on your website, social media and however else you choose. We retain the right to display the video in our portfolio (unless of a confidential nature). What's the policy on revisions? On the understanding that the script and plan for the video has been fully approved, the final video must reflect what has already been agreed. 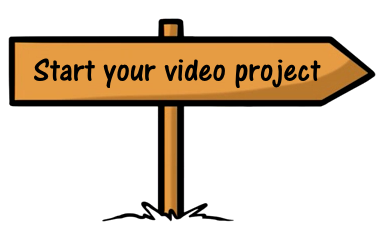 You will receive a draft video that is fully produced, which you are able to provide feedback on. Any amendments requested must be in line with the original project brief, as anything additional may carry a further small charge. You should send your requested amendments to us in a single email. we will make the necessary amendments and send you an edited video. If any further amendments are required after this point, we expect them to be very minimal. How can you help me with getting the most out of my video? With a background in website design and online marketing, we can advise on the best places to use your video and the best practices to help you get the most out of your investment. This complementary service is included in your project fee. We want you to succeed with your video, so we’re happy to share our video marketing expertise so you can do just that. Do you produce any other types of video besides whiteboard animation? We are currently a specialised team working solely on whiteboard animation projects. We are also developing two additional styles; sketch animations and watercolour animations. While whiteboard videos look like they’ve been drawn with a whiteboard marker, sketch and watercolour videos have a different feel to them. These three complementary styles allow a wider range of clients to benefit from our services. Ask for more details when you speak to us. I have a very unique project request. Can you give me a quote? Although every project is unique, we keep everything possible within our three price packages, so our pricing remains straightforward and easy to understand. However, if your project is very different for some reason, please get in touch with us and we’ll let you know what your project will cost. You can send any other questions through to our Creative Team, who will give you a quick response. Use the contact form in the footer below to send your quick question.